f you would like to learn more about our presentation skills and facilitation skills programs, or would like help with preparing for a presentation or facilitation, we would be happy to help. This is the podcast I referred to. The 'Switchtracking', 'Stereotype Threat', and 'Students and Teachers' episodes are very interesting and relevant. Heck, they're all interesting! We used Meeting Sift to gather and prioritize ideas online. If you're interested in using it, click here to download. I use Tiny Scanner to create pdf files from the flip chart notes Kelly and/or I transcribe when we're doing workshops or public consultations. It's easier to work with the notes when they're on 8.5 x 11 paper. Flip chart paper can be pretty inconvenient to work with when you're creating follow-up reports. Scroll down to see other useful resources on biases, hidden gorillas, etc. Want to study at university of california? start now. I love Coursera. It's an organization that brings the best educators in the world directly to us. You and members of your community can take a course from Harvard, Princeton, Wesleyan University (the best Universities in the world) right now, for free. Anyone can start studying right now. Geography, money, educational background are no longer barriers. I try to encourage every young student, every senior citizen, everyone to consider learning something new. Why not start a community learning group? Episode 1 from The Hidden Brain will explain a feedback phenomenon you've probably experienced! 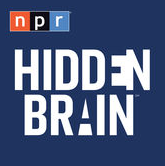 Hidden Brain Podcast: "Thanks for the Feedback"
Fascinating podcast explaining why giving feedback often doesn't go as planned! Just click on the link to start listening to Episode 1: Switchtracking. How can I design and lead a good discussion? how much information in your lecture? What's the point (of your lecture)?